Hillside, NJ - February 6, 2013 - From game world to real world, game creator and leading entertainment conglomerate, NECA/WizKids, under a merchandise licensee agreement with game developer and publisher Valve, today unveiled plans to launch an upcoming Dota 2 HeroClix collection and new game platform entitled 'NextChess', featuring Team Fortress 2 (TF2), both based on the best-selling game franchises. Both titles are set to launch this summer. The announcement follows NECA/WizKids' publication of the much-anticipated Half Life 2 Zero-Point Energy Field Manipulator (a.k.a. "Gravity Gun") replica and release of the Limited Edition Portal 2 Gun Replica, which launched with overwhelming response last fall. "We're pleased to once again team up with Valve to bring popular characters and elements from the Dota 2 and Team Fortress 2 franchises to life in physical form, " said Justin Ziran, president at NECA/WizKids. 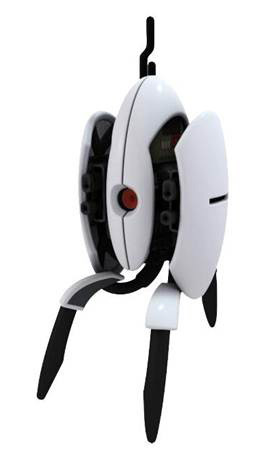 HILLSIDE, NJ – July 5, 2012 - NECA/WizKids, the leader in collectible gaming, is excited to announce their partnership with the Valve Corporation to develop and launch their new line of Portal 2 Sentry Turret Collectible Figures. In Portal 2, the Sentry Turrets are objects to avoid or destroy while maneuvering through the mind-bending puzzles presented at each level in the game - but you will want to collect all of these Portal 2 Sentry Turret Collectible Figures to stand guard over your work space and prized possessions! 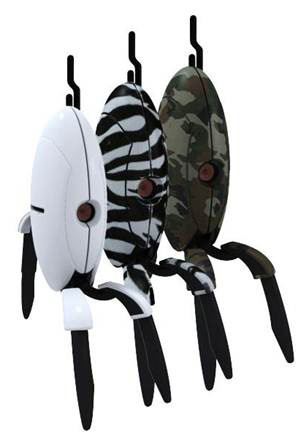 The Portal 2 Sentry Turret Collectible Figures stand 3" in height and will feature both Open and Closed versions of 10 unique design patterns including camouflage patterns, animal prints and even a Hot Rod-motif.